Social justice is a key issue for PUUC congregants. Our Social Justice Committee focuses its efforts on fostering, encouraging, supporting, and initiating actions that support justice in our communities and in the larger world. These may encompass human rights, peacemaking, environmental protection, and economic justice. Every Sunday in our worship service, our rainbow candle is lit by a church member or a member of the Social Justice Committee who speaks briefly about a social justice issue. This practice, we believe is unique to PUUC. Topics range widely, shining a light on a particular concern and is often linked to an action church members might take. 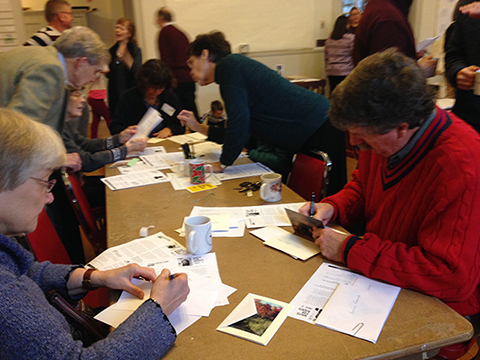 We lead the congregation in writing letters to politicians when the need arises around issues of justice. Yearly, we join in Amnesty International's Write for Rights campaign, an effort to release prisoners of conscience and to support people persecuted for speaking out for justice. We will lead a social justice service in January. We take part in a variety of walks for justice: recently, the ecumenical Crop Walk and NH Rebellion's several walks for campaign finance reform. We've partnered with a group to show movies that highlight justice issues. Recently we sponsored a one-woman show depicting the life work of Granny D, an advocate for campaign finance reform. 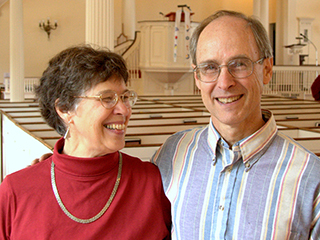 We are planning to involve the congregation in the Unitarian Universalist Association's Congregational Study/Action Issues (CSAI) initiative on income inequality. On a regular basis we sell Fair Traded coffee, tea and chocolates during our Hospitality Hour. Members of the Committee are key workers at our weekly Community Support program. ​We have read The New Jim Crow by Michelle Alexander and as a result have prioritized and focused on issues of imprisonment in the United States today: how it happens, how often and to whom. We have joined with the local Friends Meeting and formed a group called Citizens Concerned for Justice. We have visited local jails, presented a public information session about the criminal justice system, and have searched for a way that we might be helpful. As a result, some of our members have gone through a training and are about to embark on an effort to provide transportation for parolees so that they are able to get to their parole appointments. After we light the social justice candle, after the speaker highlights an issue, the congregation sings ...Come build a land where sisters and brothers, anointed by God, may then create peace: where justice shall roll down like waters, and peace like an everflowing stream. In 2006, we moved up from Brookline, MA and were looking for another UU church community; we found it quickly at PUUC. 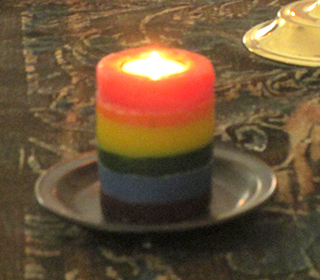 On our first visit, there was the lighting of a rainbow candle followed by a short focus on a social justice issue. We'd never seen this before and were delighted. The Interim gave a cogent sermon and the hymns were sung joyfully. At hospitality several people came up and talked with us and directed us to the Social Justice Committee Chair. We kept coming back, joined the Social Justice Committee and have been busy in the church ever since.